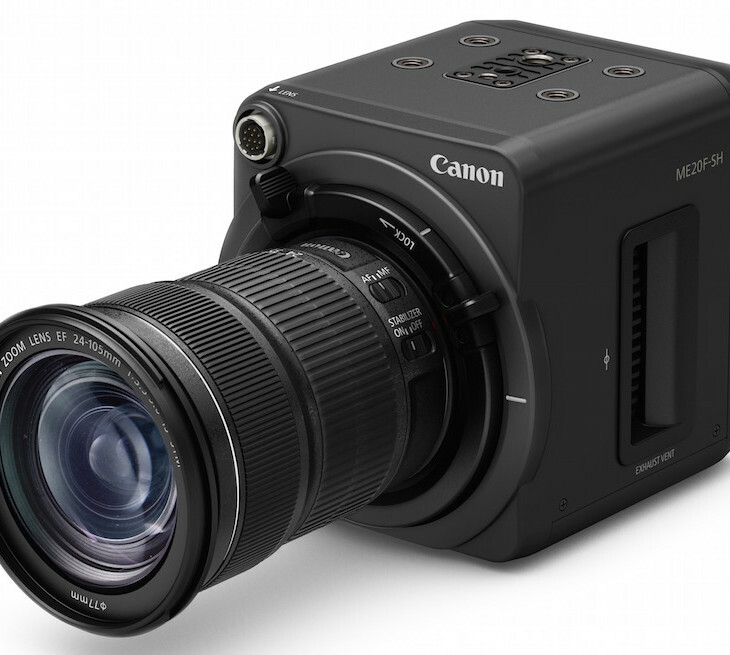 Canon announced the Canon ME20F-SH, a high-end video camera with a full-frame sensor, and a nice and compact design. 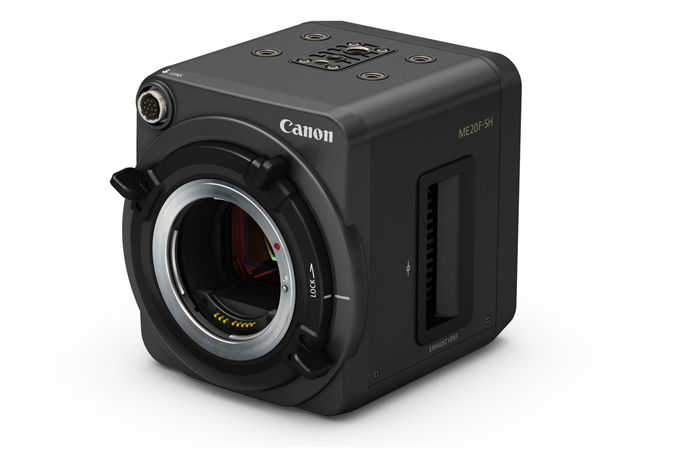 The new Canon camera can record at ISO 4,000,000! That’s a low light champion that can see in the dark. 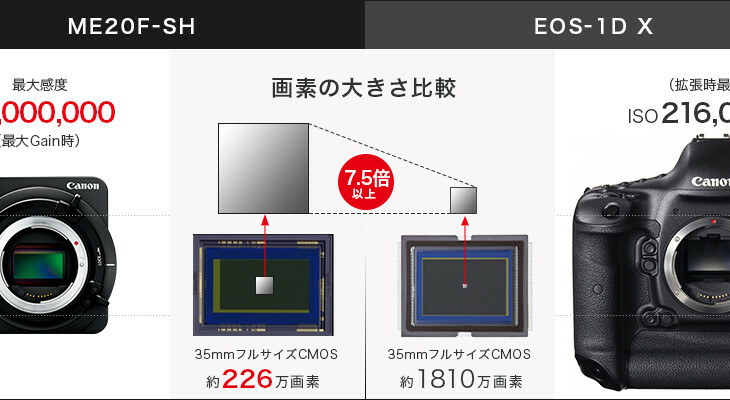 At the core of the ME20F-SH is a 2.26 megapixel CMOS sensor. Back in 2013 we had a development announcement for exactly this kind of sensor (this sensor may also be related). 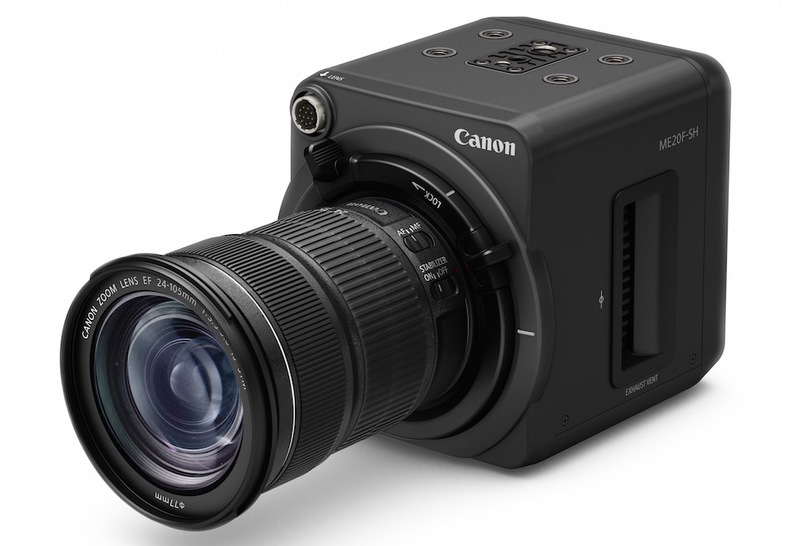 The new ME20F-SH will be available in December at $30,000. 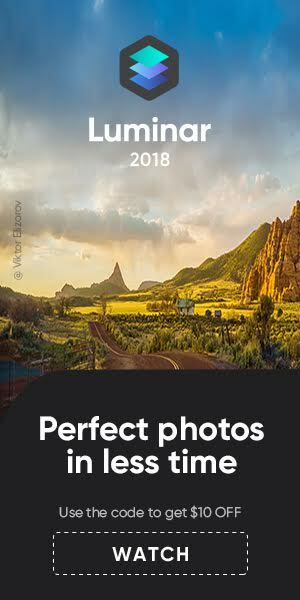 A new Canon milestone not foreseen by any of the rumor sites. 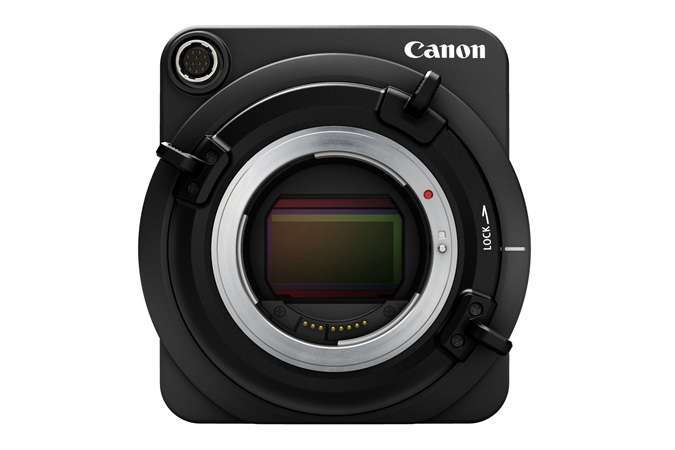 And, hey!, it’s a Canon full-frame mirrorless camera. 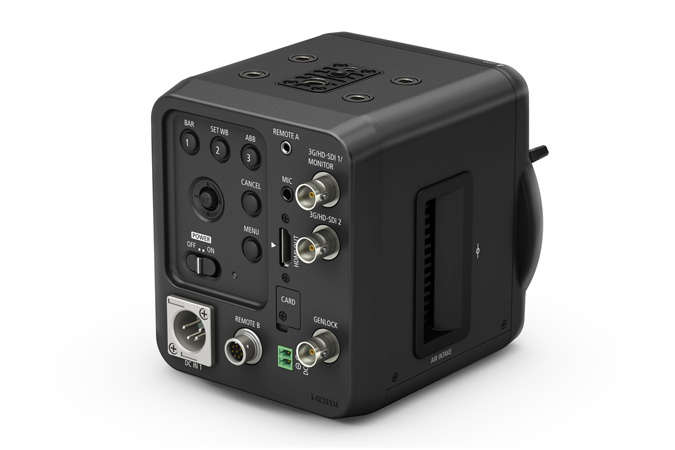 Supporting image capture in situations where it previously would not have been possible, the ME20F-SH is ideal for use within specialist applications such as TV productions of nighttime wildlife, deep sea/cave exploration, astronomy and surveillance. 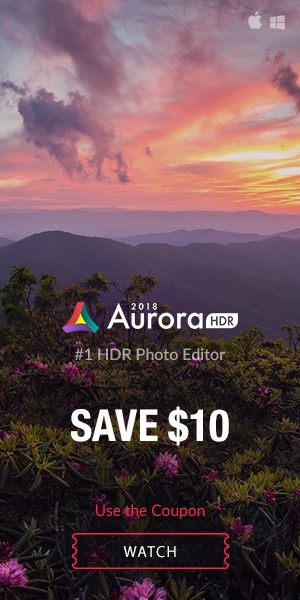 The ability to install the camera in a semi-permanent location, with remote control operability also means that for documentary and natural history filmmakers, long term projects and events can be captured with minimum staffing. Due to the specialist nature and demand for this product, the ME20F-SH will only be available to selected partners. 5 Details regarding supported EF-series interchangeable lenses are scheduled to be made available in mid-December 2015. 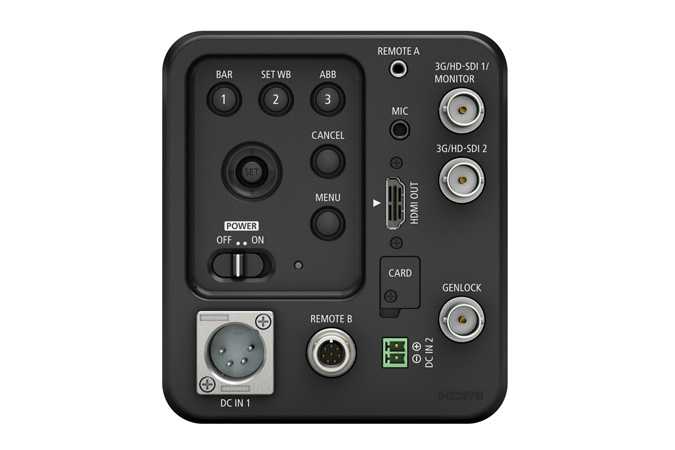 6 The RC-V100 requires a firmware update when using the round 8-pin jack for RS-422. 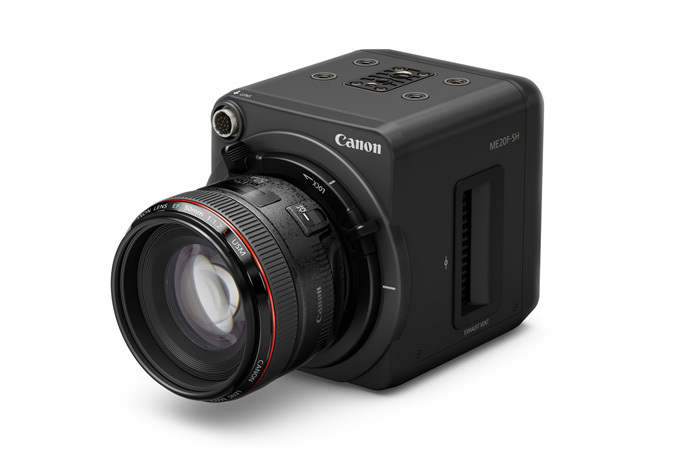 Details regarding the firmware are scheduled to be made available in mid-December 2015.